Radio legend Howard Stern will celebrate his 60th birthday show in style on January 31st, 2014. Rockers Jon Bon Jovi, Steven Tyler and John Fogerty will all perform at “Howard Stern’s Birthday Bash.” Presented by SiriusXM and hosted byJimmy Kimmel, the show will take place at the Hammerstein Ballroom. 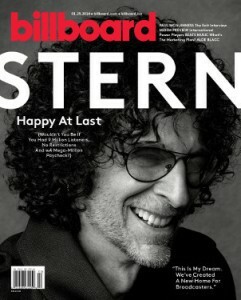 Stern’s actual birthday was this past weekend, Jan. 12. Stern had previously announced that Tyler would make an appearance but did not divulge what the Aerosmith frontman has planned. Will SiriusXM Survive If Howard Stern Retires?